Since the completion of the original Program EIR, Padre has continued to support the subsequent CEQA/NEPA compliance requirements for the project. A Mitigated Negative Declaration was prepared to address Phase 2 (Lower Reach) Pipeline Revisions. A Supplemental EIR/EA was required to address a change in the location and configuration of the project ocean outfall. An EIR was prepared to address revisions in the Phase 2 (Upper Reach) pipeline alignment. Upon completion of the Supplemental EIR/EA for the ocean outfall, Padre provided permit acquisition services for the District which included a Coastal Development Permit, State Tidelands lease, Sections 404 and 401 permits and NPDES Permit. 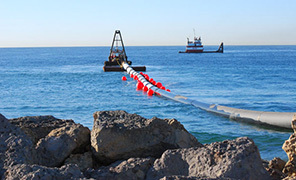 During installation of the ocean outfall, Padre provided both onshore and offshore mitigation compliance monitoring services including frac-out monitoring (of the horizontal directional drilling), marine mammal monitoring and archaeological monitoring. Biological monitoring was also provided for other phases of the project. 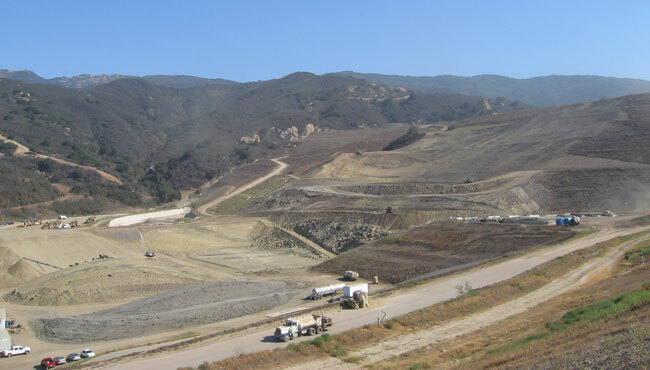 The Santa Barbara County Public Works Department, Resource Recovery & Waste Management (RRWM) Division proposes to modify the operation of the Tajiguas Landfill to add a Resource Recovery Project (Project) that would process recyclables and organic material from municipal solid waste. The Project includes the addition of a Materials Recovery Facility (MRF) and Dry Fermentation Anaerobic Digestion (AD) Facility to the Tajiguas Landfill. Recyclables would be recovered at the MRF and processed for sale. Recovered organic material would be processed in the AD Facility and residue would be disposed at the landfill. The AD facility would produce biogas which would be used as a source of energy at the facility and digestate which would be cured into soil amendments. Padre assisted the RRWM with the preparation of a Subsequent Environmental Impact Report (SEIR) for the Project. The SEIR evaluated eight alternatives in detail including the proposed Project. No significant and unavoidable impacts were determined to result from implementation of the Project, excluding those associated with extending the life of the landfill (which is an objective of the Project). Significant but mitigable impacts were identified in the areas of scenic resources, biological resources, hazardous materials, geological hazards, land use, water resources. The Project is also generally sensitive to the public due to the location of the Tajiguas Landfill in the Gaviota coast rural region. The SEIR was subject to extensive internal review by the “Public Participants” for the project which include the jurisdictional areas served by the Tajiguas Landfill. Specifically, the Public Participants include the County of Santa Barbara, and cities of Santa Barbara, Goleta, Buellton and Solvang. Padre prepared the Mitigated Negative Declaration in coordination with the California State Lands Commission (CSLC) for the Dynegy Morro Bay, LLC, Morro Bay Power Plant Marine Terminal Decommissioning Project. Padre also assisted in preparation of the Project Plans including, but not limited to, the Site Restoration Plan, Marine Wildlife Contingency Plan, Cultural Resources Management Plan, Tribal Cultural Resources Management Plan, and Hazardous Materials Management and Contingency Plan. Other Project tasks included preparation of the air quality and greenhouse gas emission calculations, asbestos survey, biological surveys, and nesting bird surveys. Padre also prepared regulatory permit applications and secured the following permits for the Project: California Coastal Commission Coastal Development Permit, U.S. Army Corps of Engineers Nationwide Permit Authorization, Regional Water Quality Control Board Water Quality Certification, and the California Department of Fish and Wildlife Operation of Law Letter. Padre’s staff provided compliance monitoring for offshore and onshore project activities, including marine mammal monitoring, biological monitoring, and cultural monitoring.